Styled with joey pant and stedman wool coat . This version of the Eric is tailored from pure double-georgette silk with a luxurious, weighted feel. 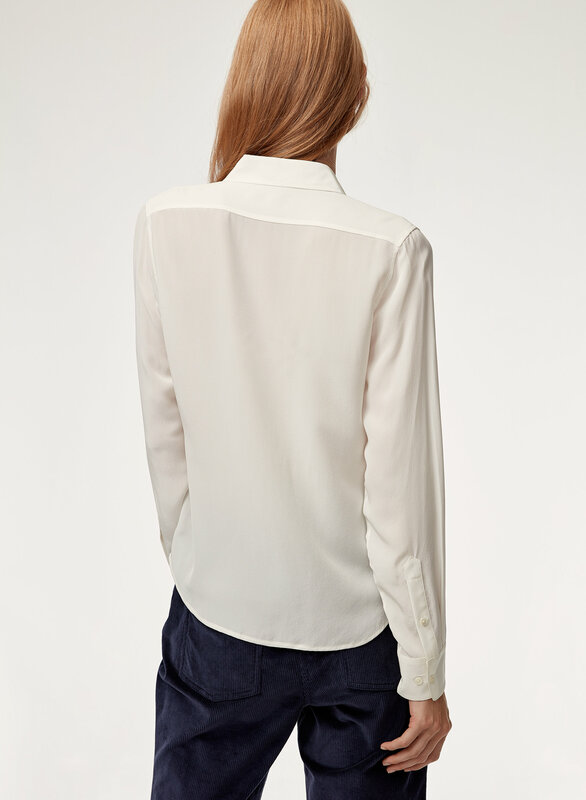 A minimalist front placket and crisp cuffs reference classic menswear styling — but the silhouette is inherently feminine. Love the deep green color. Good quality silk too. 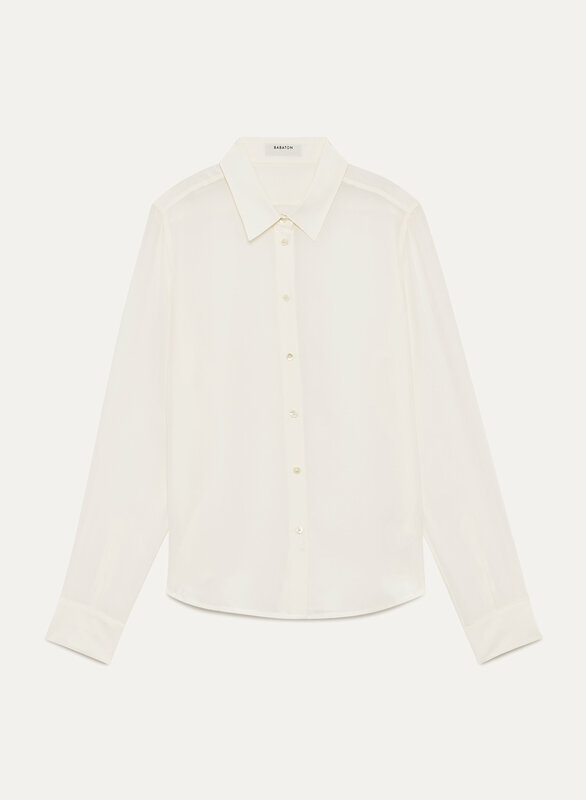 Amazing shirt—hoping they make their western-style silk shirts again in more colours. Will be keeping my eyes peeled!